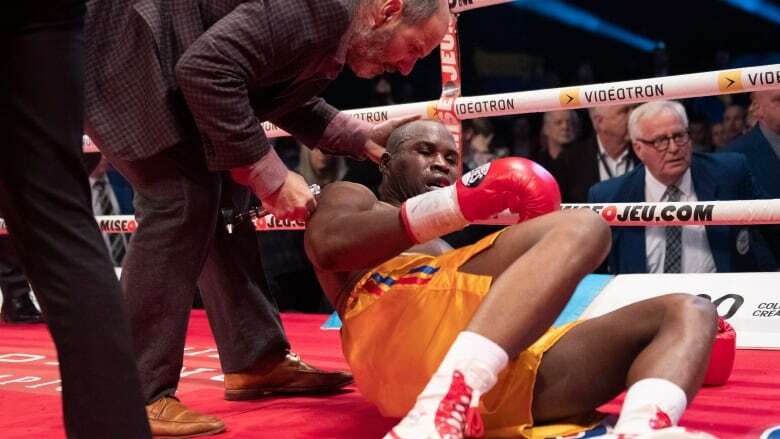 Montreal boxer Adonis Stevenson is in a medically-induced coma after a fight Saturday night in Quebec City, according to the hospital. The Centre hospitalier universitaire de Québec-Université Laval (CHU) put out a statement Sunday evening around 6:30 p.m. saying that Stevenson's condition had improved throughout the day and that he is "gaining strength in a medically-induced coma." Stevenson was carried out of the arena on a stretcher and left in an ambulance. Boxing promoter Yvon Michel tweeted early Sunday morning that Stevenson was in critical condition in intensive care. Michel updated fans with another tweet Sunday evening, calling the development "good news." Michel also tweeted on behalf of Stevenson's family and partner to thank the people who reached out with messages of encouragement and support. "Superman is under attentive medical surveillance by very competent doctors in a controlled environment," Michel wrote. Michel said Stevenson's family requested privacy at this time. In a press conference, Michel said Stevenson appeared confused when he arrived at the hospital. "We fear he has a concussion," Michel said. "This is very worrisome." 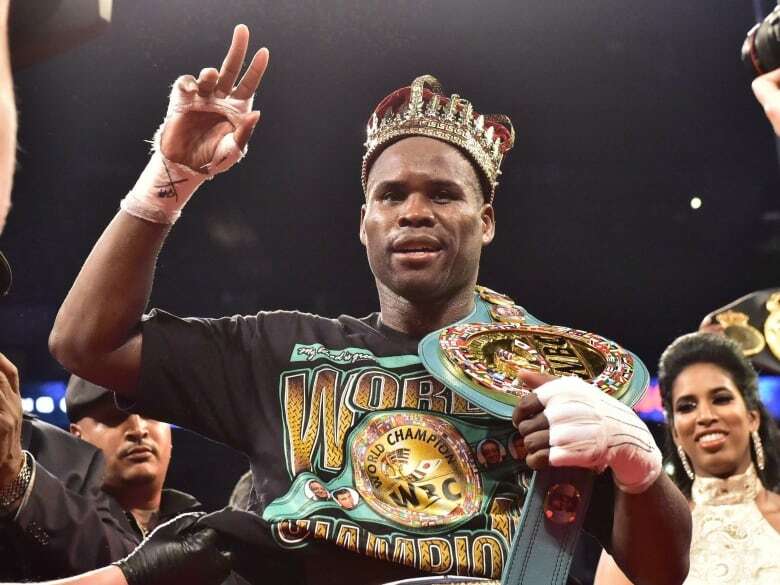 It was Stevenson's 10th title defence since winning the belt against Chad Dawson in 2013, as well as his first loss since 2010 and was his first defeat ever in Canada. 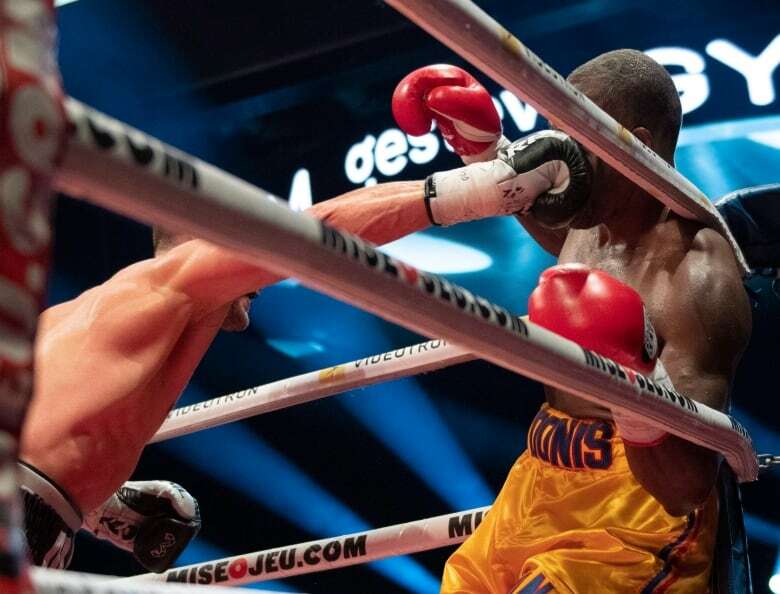 Otis Grant, who co-owns Grant Brothers Boxing in Dorval, was watching the fight ring-side in Quebec City Saturday night. He said Stevenson used to train at his gym right up until he won the world title. "It wasn't a gruelling fight. It wasn't a brutal fight or anything like that," said Grant. "The last two shots put him down, but it didn't seem out of the ordinary." He said he felt the referee made the right call, but that the hits Stevenson took during the fight are "the norm in the business." Grant said he was surprised to hear Sunday morning that Stevenson had been taken to hospital in critical condition. Stevenson fell early, in the third round, after getting hit by Gvozdyk. But referee Michael Griffin said it was a slip. In the sixth round, Stevenson threw more punches to the body, something that he rarely does. He hit Gvozdyk in the abdomen and shook him, and Stevenson finished the round. Mitch Chuvalo, son of famed Canadian boxer George Chuvalo and a physical education teacher at University of Toronto Schools, told CBC News he thought the referee stepped in at the right moment to end the fight. "When I saw what transpired, I knew the young man was obviously in trouble," Chuvalo said. "There was obviously something wrong with him, cognitively, at the end." He said the very goal in boxing — to knock your opponent out — was problematic to him. "I have love-hate relationship with boxing," Chuvalo said. "[It's] a great platform for human drama and courage, and willpower, but it does have damaging effects, long term, and this is going to open up a discussion that needs to happen."